Hypersensitivity pneumonitis (HP), also called extrinsic allergic alveolitis, is a respiratory syndrome involving the lung parenchyma and specifically the alveoli, terminal bronchioli, and alveolar interstitium, due to a delayed allergic reaction. Such reaction is secondary to a repeated and prolonged inhalation of different types of organic dust or other substances to which the patient is sensitized and hyper-responsive, primarily consisting of organic dust of animal or vegetable origin, more rarely from chemicals. When you breathe in the dust that you are allergic to, you will not notice any problems the first time. Some individuals may develop symptoms after a large exposure to the dust or after repeated smaller exposures. The tiny air sacs in the lungs become inflamed as their walls fill with white blood cells and, occasionally, the air sacs may also fill with fluid. The inflammation gets better within a few days if you no longer breathe in those dust. If you breathe in those dust repeatedly, the inflammation in the lung continues. This may lead to some portions of the lung developing scar tissue. When your lungs have scar tissue, you may have trouble breathing normally. If you work in certain occupations, then you may be at an increased risk of developing hypersensitivity pneumonitis. This includes farmers; vegetable or dairy cattle workers; bird and poultry handlers; veterinary workers and animal handlers; grain and flour processing and loaders, lumber milling; wood stripping, and paper and wallboard manufacturers. Another risk factor is inhaling certain chemicals produced in plastic manufacturing, painting, and the electronics industry. Hypersensitivity pneumonitis may cause the following potentially fatal complications if the condition is not diagnosed or well controlled by treatment. Irreversible lung damage and permanently reduced lung function because of severe fibrosis and impaired ability to oxygenate the blood during normal breathing. 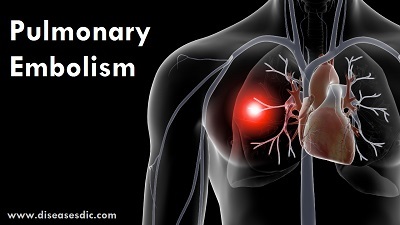 Pulmonary hypertension due to damage of blood vessels in the lungs. Heart failure because inflammation makes it harder for the heart to pump blood to and through the lungs. Blood tests to detect high levels of white blood cells and other immune cells and factors in your blood that indicate your immune system is activated and causing inflammation somewhere in your body. Bronchoalveolar lavage (BAL) to collect fluid from your lungs that can be tested for high levels of white blood cells and other immune cells. High levels of these cells mean your body is making an immune response in your lungs, but low levels do not rule out hypersensitivity pneumonitis. Computed tomography (CT) to image the lungs and look for inflammation or damage such as fibrosis. CT scans, particularly high-resolution ones, can help distinguish between types of hypersensitivity pneumonitis. Inhalation challenge tests to see if a controlled exposure to a suspected causative substance triggers your immune system and the onset of common signs and symptoms such as an increase in temperature, increase in white blood cell levels, rales that are heard during a physical exam, or reduced lung function. A positive test can confirm an inhaled substance triggers your immune system. A negative test does not rule out that you have hypersensitivity pneumonitis, because it may mean a different untested environmental substance is causing your condition. Before having this test, talk to your doctor about the benefits and possible risks of this procedure. 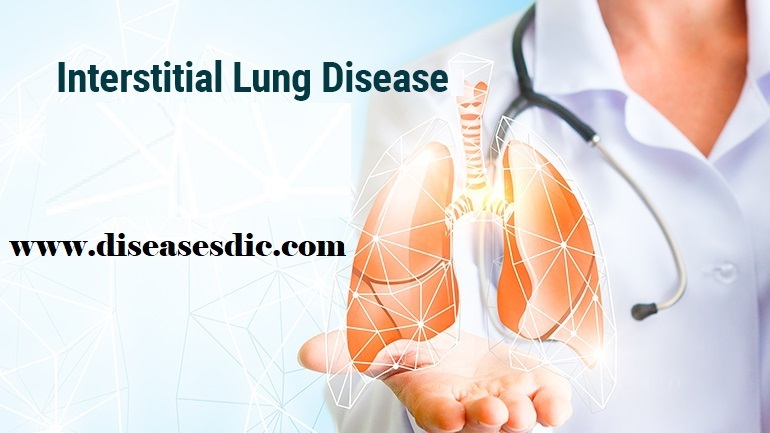 Lung biopsies to see if your lung tissue shows signs of inflammation, fibrosis, or other changes known to occur in hypersensitivity pneumonitis. Lung function tests to see if you show signs of restriction such as reduced breathing capacity or abnormal blood oxygen levels and check if you have obstructed airways. These tests help to assess the severity of your lung disease and when repeated they can help monitor whether your condition is stable or worsening over time. Lung function tests may be normal between acute flares. Precipitin tests to see if you have antibodies in your blood that recognize and bind to a causative substance. While a positive test means that you have been exposed to a substance, it cannot confirm you have hypersensitivity pneumonitis. This is because some people without this condition also have antibodies in their blood to these substances. If you have antibodies to a substance, your doctor may have you perform an inhalation challenge test to see if a new exposure to the same substance can activate your immune system and cause a new acute flare. Chest x-rays to image the lungs and look for inflammation or damage such as fibrosis in your lungs. Early diagnosis is imperative in the management of hypersensitivity pneumonitis (HP), given that progression is largely preventable and adverse effects are largely reversible. Environmental and exposure control is the cornerstone of treatment. In cases in which elimination of antigen exposure does not result in full regression of the disease, treatment with corticosteroids may be warranted. If the responsible inhaled antigen can be identified, the most effective therapy is complete avoidance. Acute disease remits without specific therapy. This may prove difficult or impractical when a new home or new job would be required. When complete elimination or avoidance of the allergen exposure is not possible, exposure minimization with protective equipment or environmental treatment is a potential alternative. Respirators may provide satisfactory personal air purification for workplace environments. Alternatively, use of fungicides, dehumidification, mold removal or other remediation services may also sufficiently reduce ambient antigen burden. Patients with disease progression in the setting of ongoing exposure should still be strongly counseled on antigen avoidance even if drastic measures such as relocation to a new job or home are required. These drugs work by suppressing your immune system, reducing inflammation in your lungs. Corticosteroids are usually taken as a pill. However, long-term corticosteroid use also increases your risk of developing infections and is associated with the thinning of bones (osteoporosis). If you’re having a lot of trouble breathing, you may need oxygen therapy through a mask or plastic tubing with prongs that fit into your nostrils. Some people need oxygen therapy constantly, while others might need it only during exercise or sleep. Outside of oral corticosteroids, several other alternative therapies have been explored in select cases. Inhaled corticosteroids, bronchodilators, cromolyn sodium, and antihistamines may be helpful in cases with obstructive physiology with reversibility. The use of low-dose macrolide antibiotics have been suggested for inflammation reduction, however, beneficial effects have not been verified in human studies. The use of immunosuppressive agents such as azathioprine or cyclosporine has been documented in select pediatric cases, but not in the adult population. How to prevent the hypersensitivity pneumonitis? Reduce the chances of contracting hypersensitivity pneumonitis (HP) by minimizing exposure to provocative antigens, reducing microorganism contamination in the environment, and/or using protective equipment. Reduce the antigenic burden by altering the handling and storage of microbial antigens, wetting compost to decrease aerosolization, and using fungicides to decrease fungal growth. Dehumidify the environment and remove stagnant water to discourage microbial overgrowth. Perform preventive maintenance routinely on all heating, ventilation, and air-conditioning equipment. Remove water-damaged furnishings and carpeting. When avoidance of causative antigens cannot be achieved easily, use protective devices such as personal respirators or air-purifier. Dust respirators do not provide adequate protection, and helmet-type air-purifying respirators are efficacious but can be cumbersome to wear. Next Frostbite – Causes, Risk factors, and Diagnosis.